There was an interesting discussion about writing About Me pages the other day on one of the forums I frequent. A drive by comment was left to simply post your resume. Oh, my, such bad advice for anyone selling crafts online. A resume is a list of past job-related accomplishments. An About Me page should be about who you are, why you love what you do, why you’re so good at it and why someone should listen to you, buy your product or hire you as a consultant. It should be used to develop a connection with a prospective customer whether you sell million dollar buildings or five dollar pieces of jewelry. 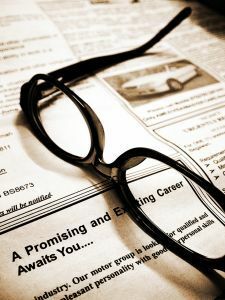 Your resume does include information about your professional experience and is part of who you are. But, it’s often a very formal document that has little room for the passion, excitement and personality of you and your business. Resumes, by their nature, are not going to have the same details you should include on an About Me page. Whether or not you attend the biggest craft fair in your state matters little to a future employer but it certainly matters if you are selling handmade items. I’ve said it before and I’ll say it again, the About Me page is about selling yourself. The artist who studied at the Sorbonne might have better credentials but that doesn’t mean their work has the same passion and appeal as a self-taught artist living in some small town somewhere. Art is such a personal expression of who we are, a laundry list of past jobs and schooling just doesn’t convey what makes you and your art stand apart. A last thought to consider… are you are applying for a J O B or are you a business owner with something to sell? Want more ideas about writing About Me pages? Be sure to check out – Writing About Me Pages and Writing About Me Pages, Round II. What do I call it? This entry was posted in Arts & Crafts Selling Tips, Internet Marketing, Selling Crafts on the Internet. Bookmark the permalink. Open the conversation by being the first to comment on Resumes & About Me Pages.